…to katie. she turns 25 today. marc and I had fun flipping through the pages of her baby album last night. and I finally chose this photo to share. she’s smiling (this was – and still is – pretty typical). she’s styling (even more typical these days). and she’s in motion. always going someplace. someplace new. someplace challenging. hopefully someplace fun and fulfilling. k, best wishes for your birthday and this next year. love. miss. xxoo – m.
That's such a sweet photo and a gentle reminder of how fast they grow up. 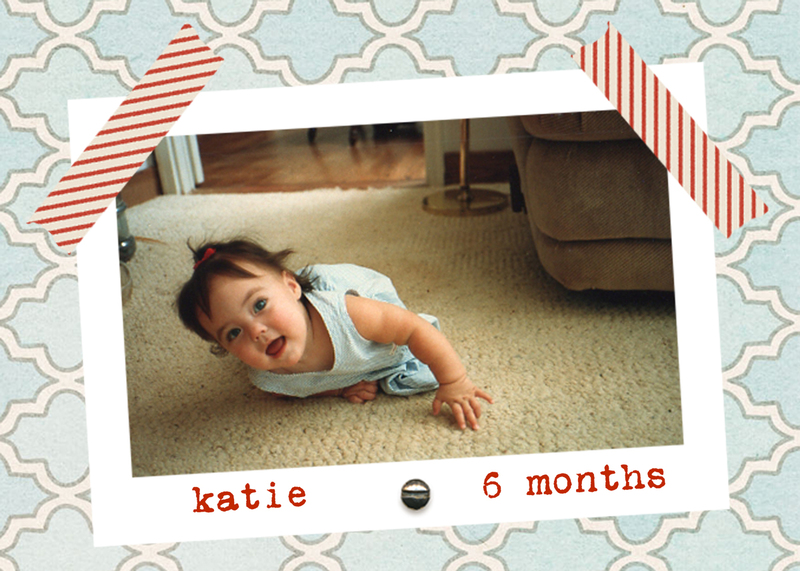 Happy Birthday to your Katie! So cute!!! Happy birthday to Katie! time has certainly flown by! What an adorable photo. I imagine many memories abounded as you looked at photos. A very Happy Birthday to Katie. And here's to beaucoup more. Isn't it scary how quickly time flies? Happy Birthday Katie! Haha what a funny picture – Rob enjoyed seeing it! Love the Paislee Press, btw! Thanks! Love you! Happy birthday to your Katie . . . and happy memories to you.